We are proud to introduce the CorkSport Cat Back Exhaust for 2018+ Mazda 6 equipped with the 2.5L Turbocharged engine. With the first turbocharged Mazda 6 to come to the USA since 2007, Mazda did a little too well at quieting down the SkyActiv 2.5T. The CorkSport cat back uses fully polished 80mm piping and pass through resonators to wake up your Mazda6, adding both sound and power. 5-6WHP to be precise, with no tuning changes & the only other mod being the CorkSport SRI. Check out the video below for sound clips and the information below that for full details. 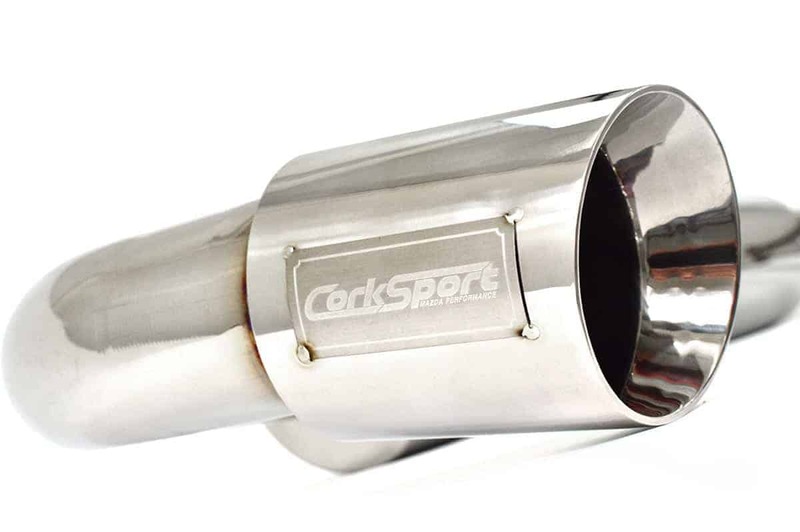 The CorkSport Cat Back exhaust replaces the ~60mm OEM exhaust with 80mm piping, an increase of over ¾”. This increases the peak flow of the exhaust to allow for extra power. The OEM exhaust also includes crushed sections, a secondary catalyst, and a restrictive muffler section, all of which adversely affect flow. The CorkSport exhaust however, uses all CNC mandrel bent piping and flow through resonators to give your 2.5T the best combination of power and sound. The graph below shows gains of 5-6WHP with no tuning or other part changes. The only other modification to the vehicle was a CorkSport SRI, which was installed for both runs. Your Mazda 6 can have these gains without the worry of a CEL with a simple bolt-on installation that only takes a few hours. Plus, the exhaust is ready to support any future mods you want to throw at it. Each CorkSport exhaust is made from fully polished stainless steel for a great look that will last. 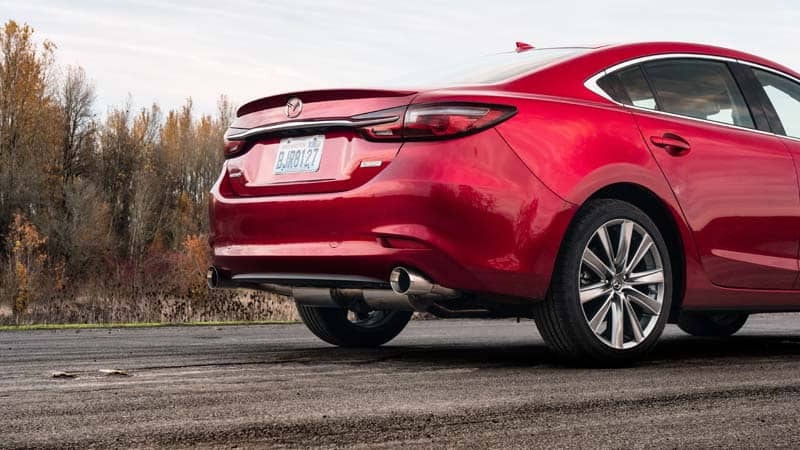 To enhance the beautiful styling of the Mazda 6, the exhaust tips were increased in size and brought rearward slightly. These dual wall 100mm tips fill out the bumper for a sleek look that lets you know something is different without being obnoxious. Lastly, they are finished off with a laser engraved CorkSport name badge for subtle detail. 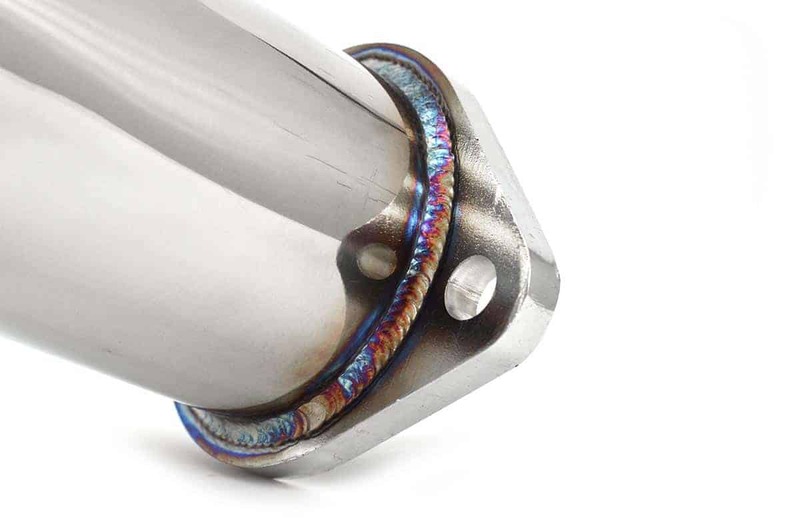 Each exhaust is precision TIG welded together for a strong, well-fitting system. The OEM hanger locations are used to keep the exhaust in place with no concern for hanging too low or rubbing on underbody components. In addition, the manufacturing jigs were made from OEM exhaust components to ensure a great fit for every Mazda 6 owner. 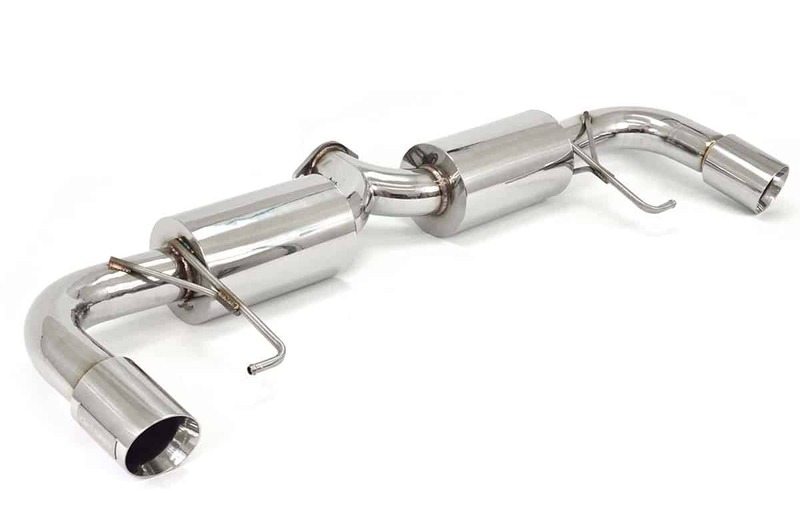 NVH (noise, vibration and harshness) in the cabin of your vehicle will be increased by the installation of this exhaust. 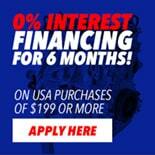 We highly recommend you view the above video to hear the exhaust note inside and outside the vehicle. The inside vehicle footage starts at 1:41 If you have any questions about the expected noise from the performance exhaust, please give us a call, at (360) 260-2675, so we can better help you understand what to expect from a performance exhaust. Please Note: Due to the nature of the product, all sales are final if the part has been installed. It will take you two hours to install the CorkSport Mazda 6 Cat Back Exhaust with our easy-to-use instructions.